This page has the answers to most frequently asked questions we receive about applying for a job at Aspirus. Can't find the answer to your question? Send a message to Human Resources through the contact us page or call us at 715-847-2800 or 800-283-2881 ext. 72800. 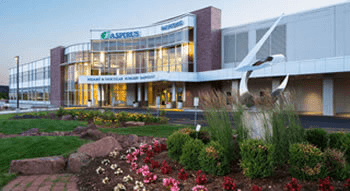 Will Aspirus accept a paper job application or paper resume? Only online applications will be accepted. Any exception to this must have prior approval from Aspirus Human Resources. Click on “Explore Career Opportunies” under the "I Want To..." menu. Read Mission, Vision and Our Values statements. Click “I agree” that your have read and understand your commitment to them. Search or View the criteria for our available positions. Click the “Job Title” that interests you. This will provide information regarding the job opening. Then click on if you are an external or internal applicant. Please note: If you are unable to access the applicant login screen, please check your computer to make sure your pop up blocker is turned off. Click “Submit.” A message will display indicating your application was successfully submitted. You should complete the online application accurately and in its entirety to allow for a thorough evaluation. Knowingly providing false information or omitting information may result in ineligibility for employment with Aspirus. Do I have to attach a resume to my application? No, a resume is not required to complete an application. How do I attach a resume to my application? Simply copy and paste your resume into the requested field on the online application. Can I send in a copy of my resume? No. However, if you are scheduled for an interview, you can bring in a copy of your resume at that time. What if I do not know the specific dates of my previous employment? All the date fields need to be in the MM/DD/YYYY format. If you do not remember the exact dates, you can use zeros for the date field. You should receive a confirmation message either on the screen or to your email address after you complete the application indicating your application was successfully submitted. Be assured your application will be carefully reviewed. A Human Resources representative will complete the initial review to determine whether your qualifications meet the requirements of the position. The supervisor of the position may further review your application. We appreciate your patience during this process. How will I be notified if I am being considered for a position? A Human Resources representative, supervisor or manager will contact you by telephone or email with more information about the position and to schedule an interview. How will I be notified if I am not being considered for a position? You will be notified by email if you are not being considered for a position. The reasons for not being considered may vary. Your qualifications, experience and requested hours are among some of the criteria used to determine if your application meets the position requirements. Please Note: It is possible that some individual e-mail security filters block certain e-mails. To ensure you receive correspondence from Aspirus by e-mail, please add noreplies@emailhr.com to your address book.. Please do not hesitate to contact our office regarding the status of this position if you do not receive an e-mail update. Can I update my application once I submit it? Once you submit your application for a particular opening, you cannot make changes to it. What if I do not see a position I am interested in on the website? All of our positions we are actively recruiting for are on our website which is updated on a daily basis. You can apply for a position you have an interest in. If I was not selected for a position, can I apply for other positions? Yes, you can apply for other positions you are qualified for. What if I cannot remember my Username/Password? On the Applicant Login screen, click on “Forgot Username or Password." Type in your first and last name and your last 4 digits of your Social Security Number to access this information. What if my e-mail address has changed? It is important we have your current phone number. To update your phone number, please email the Human Resources Department at Aspirus Wausau Hospital to update this information. If you are applying for a position at a different hospital, you can contact the facility at the main number and ask to speak with Human Resources. To find contact information for our hospitals, use our location search.